Cakewalk's Z3TA+ 2 has 1000 patches, expertly crafted by a carefully selected design team - some of which designed the original Z3TA+ patches, which are also included. 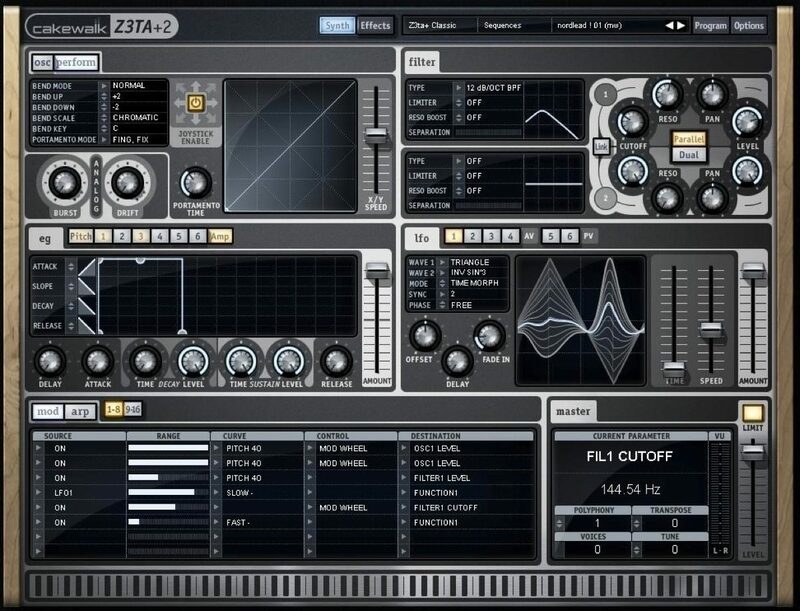 Z3TA+ 2 includes the original 1,093 classic patches plus 1,000 sounds. Bubbling arps and sequences, evocative pads, massive leads, and structure damaging basses - all with Z3TA+'s unique character. With over 2,000 included patches, organizing the patch library is more important than ever. Find what you need with the patch browser allowing organization by library, bank, and patch. Since Z3TA+ 2 gave you more presets than you could handle, we wanted to make it easier to find the thousands of presets you have by adding a built-in search button. Just click on the magnifying glass to search presets by name, vendor, or category to find the exact sound or patch you need. Patches have never been easier to find! 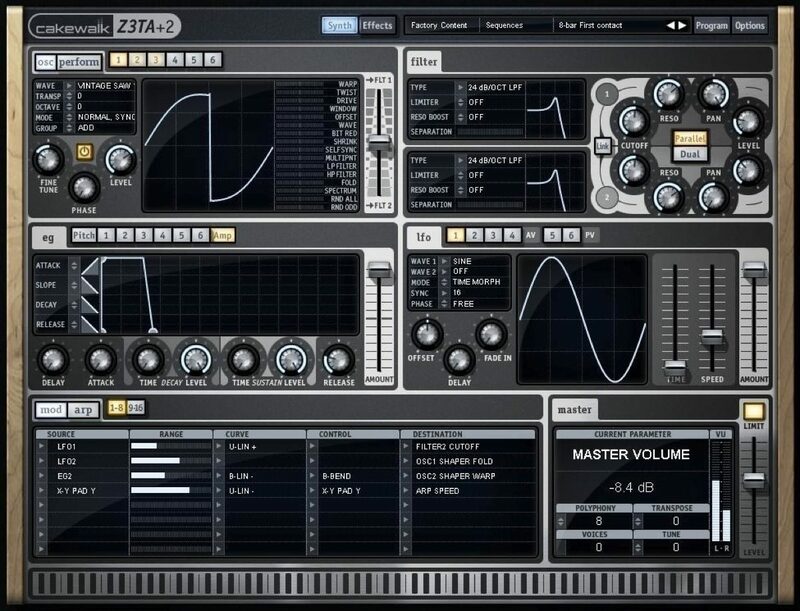 The legendary waveshaping sound of Z3TA+ (zay'-ta) is back - and better than ever. 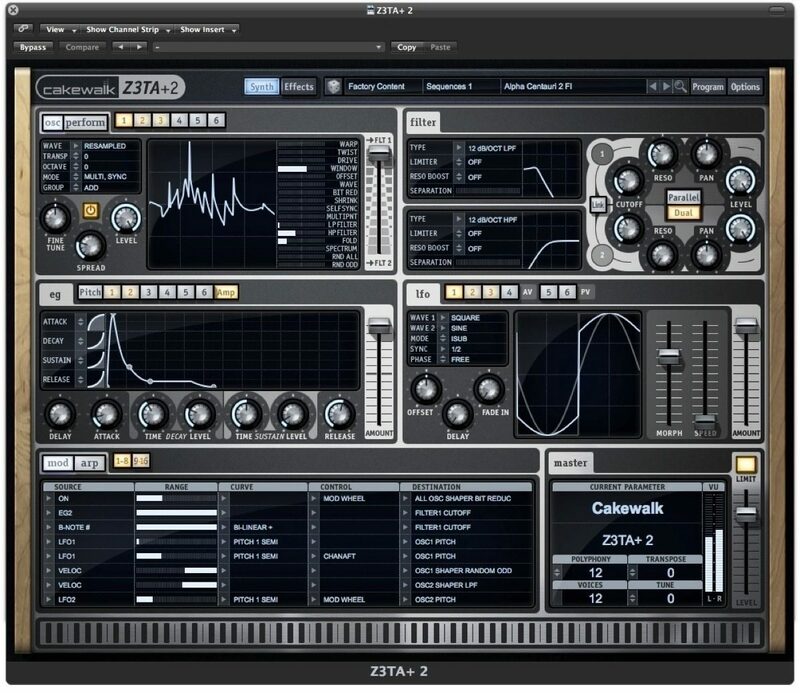 Filters, modulatable waveshapers, flexible effects, expressive control and a gorgeous interface make Z3TA+ 2 one seriously powerful synth. 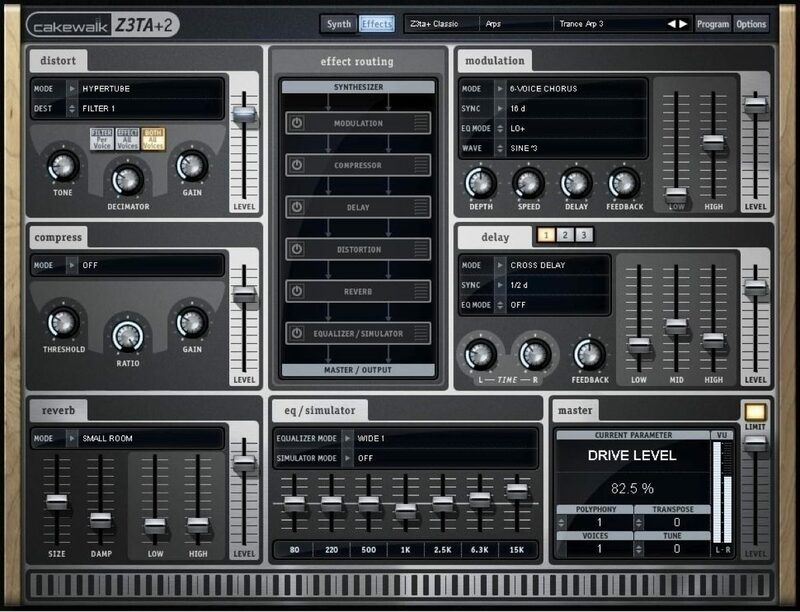 It's not often that a soft synth can be called a classic, but in the case of Z3TA+ it's definitely appropriate. Used on countless tracks over the past decade, Z3TA+'s distinctive sound has been a staple of electronic artists the world over. 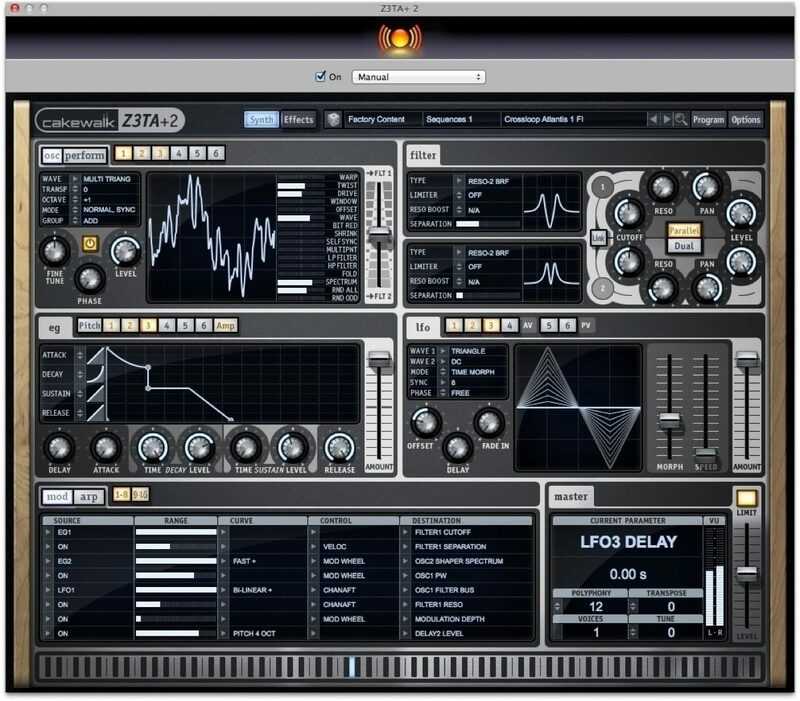 Z3TA+ 2 has 1000 patches, expertly crafted by a carefully selected design team - some of which designed the original Z3TA+ patches, which are also included. 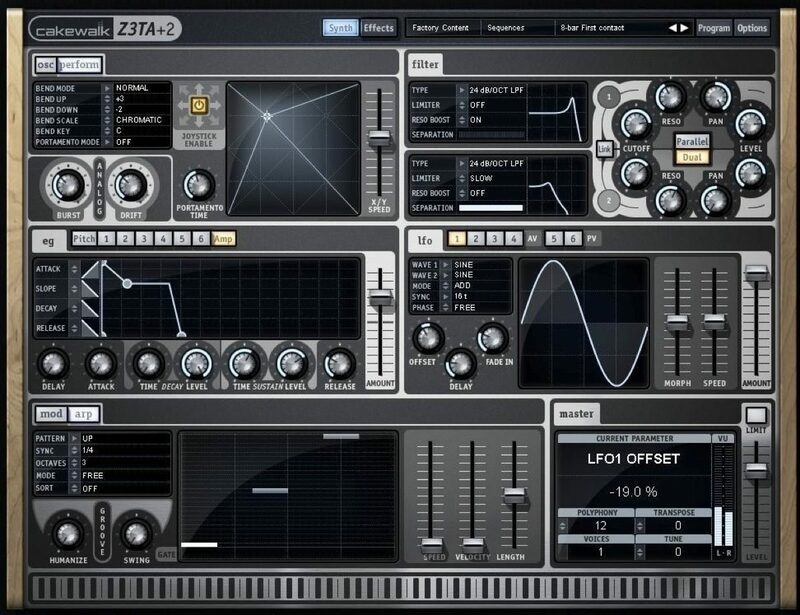 Z3TA+ 2 has a wealth of sound design capabilities including filter types, waveshapers, modulation destinations and a revamped effects section. Z3TA+ 2's Performance Module, redesigned layout, and Adaptive Pitch Bend raises the level of expression and playability. 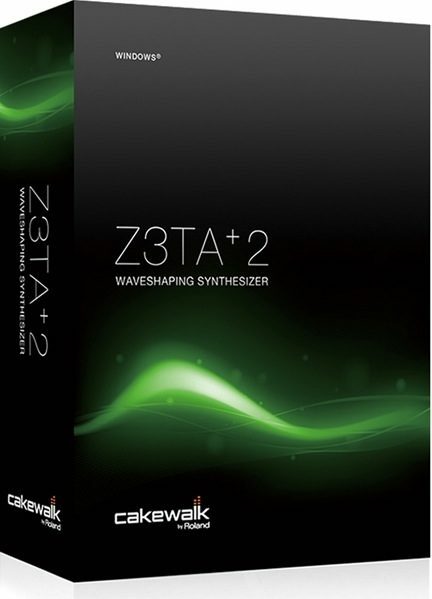 zZounds is an authorized dealer of Cakewalk products. Cakewalk Warranty ﻿30 Days via manufacturer.